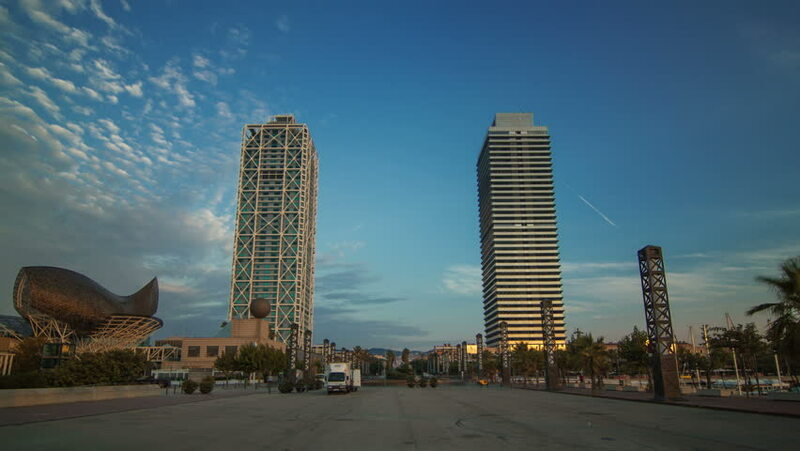 Sunrise timelapse of twin-towers in Barcelona, Spain. August 2013. 4k00:17HO CHI MINH CITY, VIETNAM - CIRCA FEBRUARY 2018: Time-lapse view on the river and the skyscrapers at dusk circa February 2018 in Ho Chi Minh City, Vietnam.